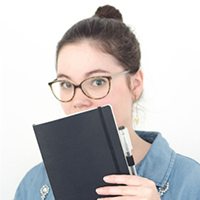 I know post-its aren’t supposed to be a thing since we start using the bullet journal system… But let’s have some real talk here: I absolutely LOVE post-its and sticky notes of all colours and shapes have been part of my working life and organization forever. When I was working in the innovation field, my team was even known as the “crazy post-it” department for our tendency to use them compulsively during our brainstorming sessions. In fact, despite the apparent contradiction between using sticky notes and the principles of the bullet journal system, I think that post-its get along great with bujos if they’re used wisely. 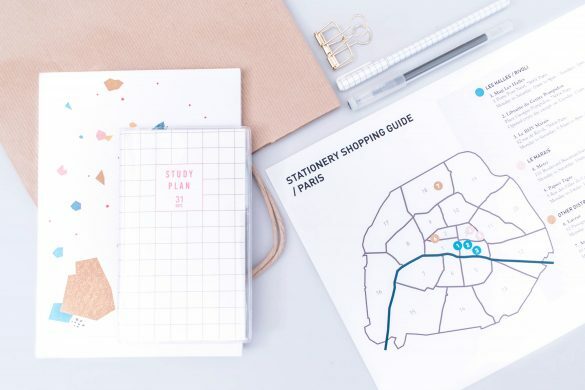 So here are 3 cool ways to use post-its in your journal to take your planning game to the next level! We’re approaching that time of the year when most of us are going to get a new book and start to get ready for 2019 in a new journal (where did 2018 go seriously?!). 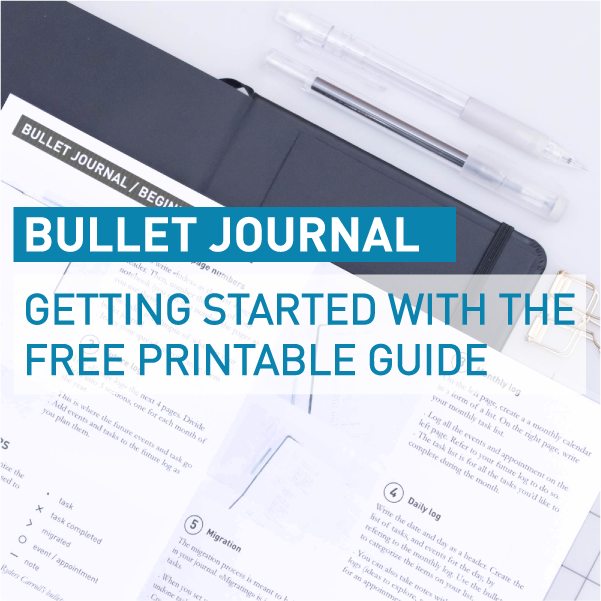 If you’re staying true to the bullet journal system and use a plain notebook, you may wonder where to start and which page to put first in your journal. In that situation, post-its are definitely the way to go to outline your journal before you start writing in it “for real”. I came across this trick while watching Megan’s videos last year, as I was myself in the process of starting my journal for 2019. Start by reviewing your current and older journals. For each spread you’d like to migrate (this means copy) in your future journal, take a sticky note and write the title of the spread on it. One spread to migrate equals one post-it. You should end up with a little stack of sticky notes. A new notebook and a stack of post-its to plan for 2019! Now that you have reviewed your journal, you may have ideas of new spreads to create in you future journal. Do just the same as for your old collections: write each idea on one post-it and add them to your “spreads to create” post it stash. 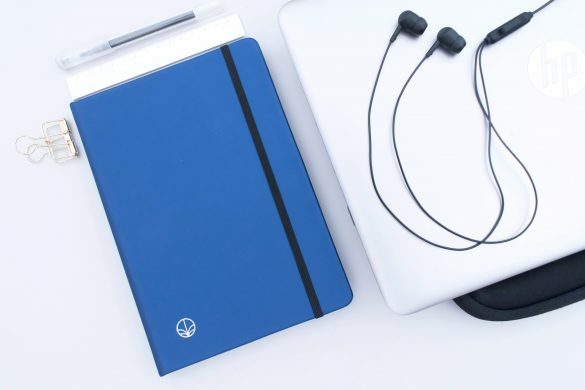 You now have a solid list of what you’d like to put in your journal, and it’s time to start to organize them in your new notebook. 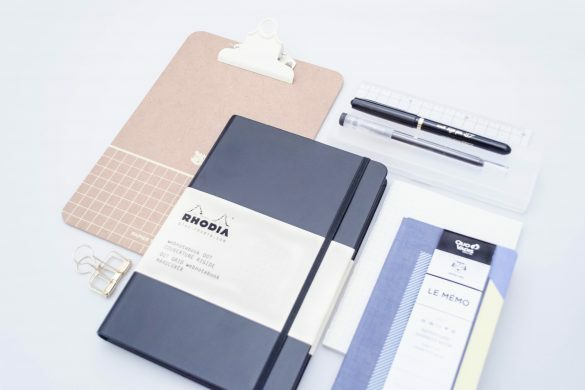 Crack your notebook open and start to put the sticky notes on the pages you’d like to create your spreads. Try to imagine how the spreads should be organized to make sense… And if you change your mind or realise that you’ve missed something, you just have to move the notes around to try an other alternative! I absolutely LOVED using this method last year as I was setting up my 2018 journal. 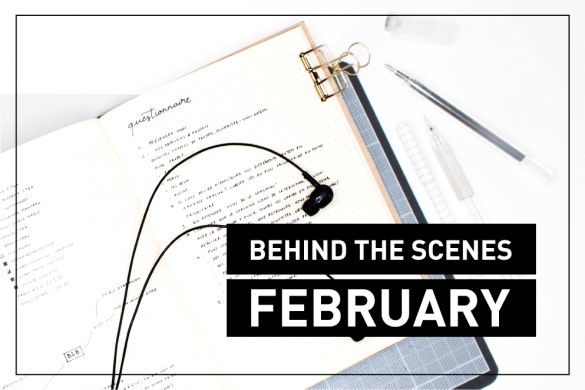 Take the time you need to do it, put you journal aside for a couple days and go back to it to make sure your set-up is optimal. It’s time to take a real pen and get ready for the upcoming year! 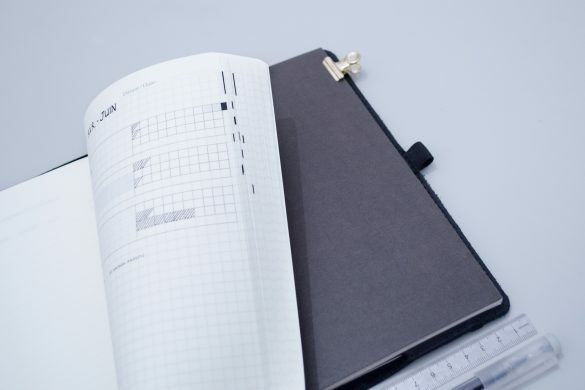 Of course, this technique works every time your need to migrate your bullet journal in a new notebook. 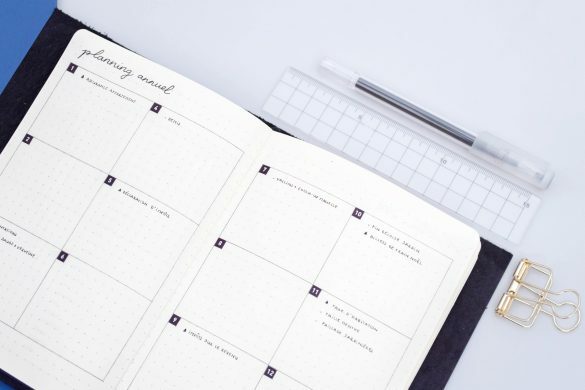 If you’re already in the middle of a journal, you can also use sticky notes to organize a bunch of spreads: use them to outline your monthly set-up or to create multiple spreads for a big project for instance. In fact, using sticky notes to outline something you need to structure works with about anything. Of course with your next bullet journal, but also your next essay for instance. 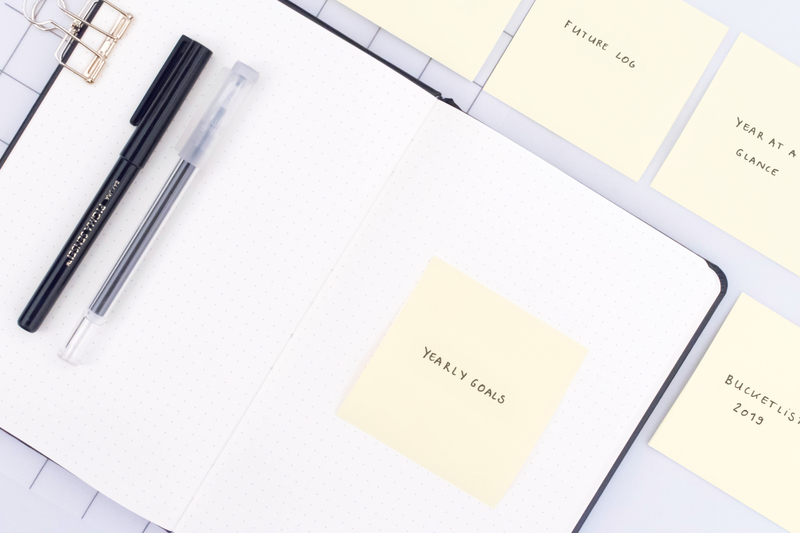 Just throw your ideas on sticky notes before you start to organize them organically. Once again, I owe the discovery of dynamic spreads to the bullet journal community. Actually, I first heard of dynamic spreads on InkbyJeng’s blog. 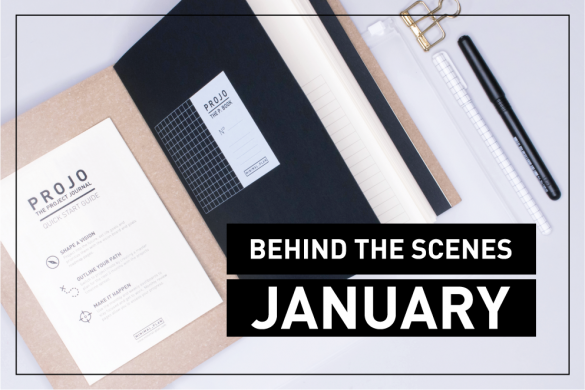 If you don’t know what dynamic spreads are, hold on tight, because they can incredibly increase the potential of your bullet journal! A dynamic spread is basically a spread with a “static” layout (columns and rows or boxes) drawn with a pen on the spread, and a dynamic part which is based on the use of sticky notes. I think one of the most famous dynamic spread is the sticky notes meal planning spread: it features 7 boxes for the 7 days of the week, and you put a post-it in which of them where you write down the meal you’ve planned to prepare / eat that day. 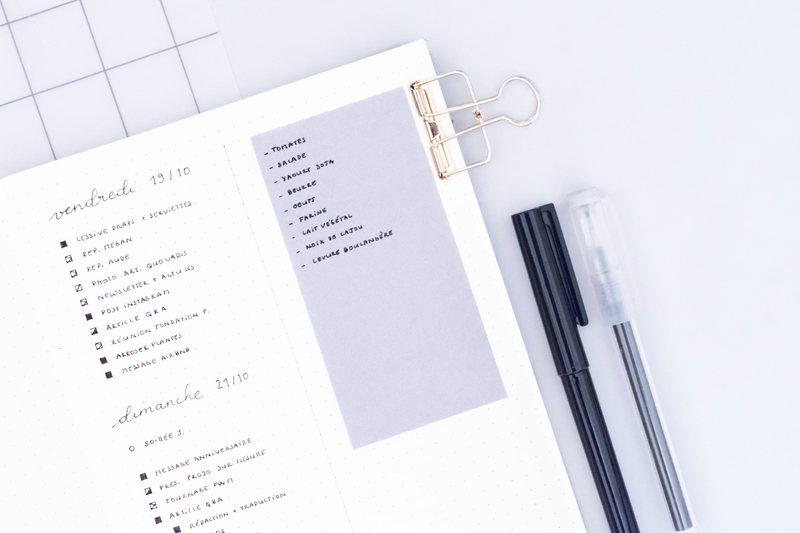 You can use the same spread hypothetically forever, as you just need to change the sticky notes to plan your meal week after week. And if you want, you can even add a space for a bigger sticky notes where you’ll be able to write your grocery list. My favourite dynamic spread is the Kanban board. 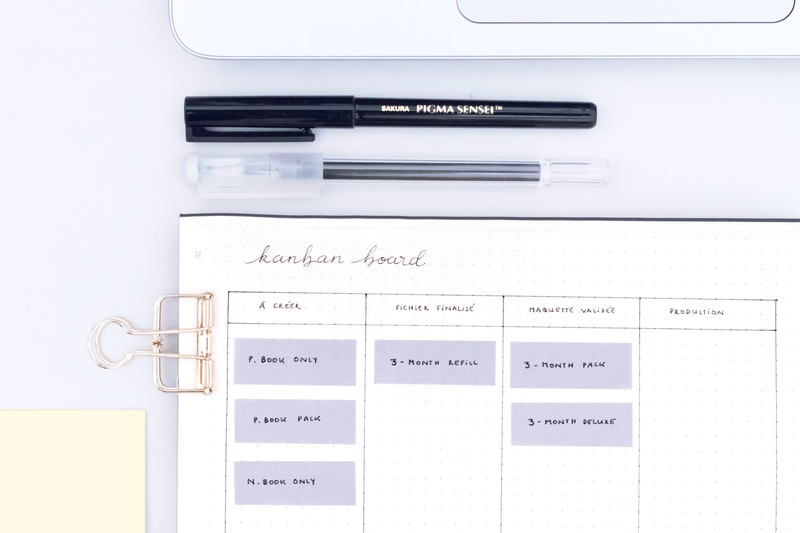 The Kanban board is a project management tool especially used for digital projects (such as website or software design development) to keep track of the progress of the project. 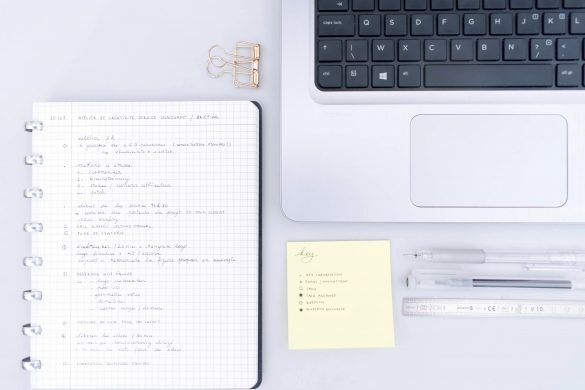 It’s pretty simple: you have columns, each columns standing for a stage of achievement (like (to do, planned, doing, done – to stay very simple), and each task is on a post it that you can move from one column to another to assess your progress on completing it. 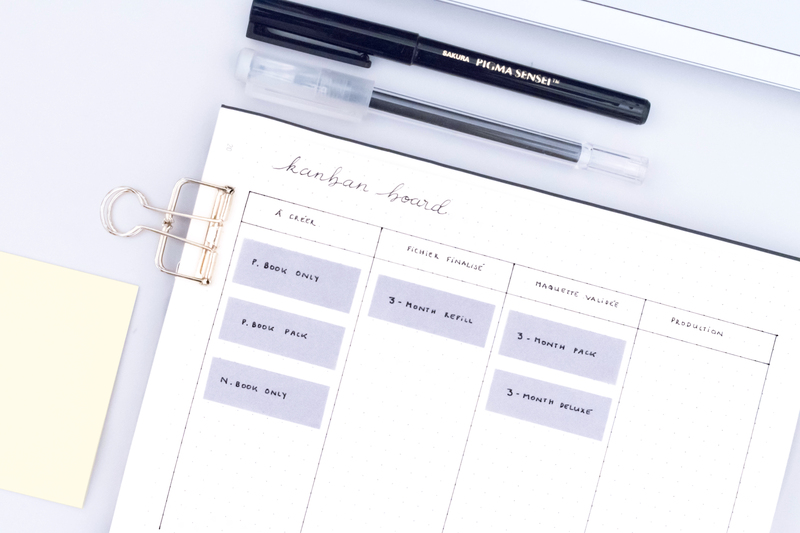 I think that Kanban boards dynamic spreads are perfect for small or medium projects such as decluttering your home with the Konmari method or planning a moving for instance. 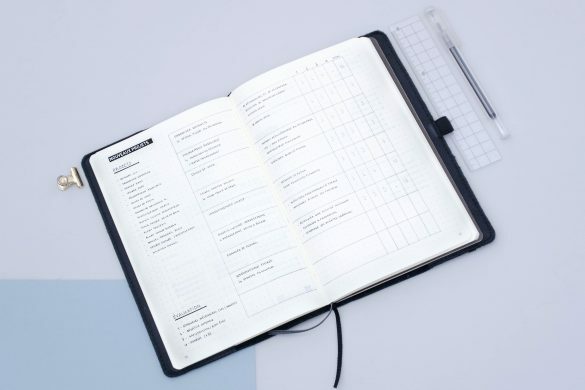 This way, you’ll be able to have a solid list of what needs to be done, and track progress along the way. If you don’t want to put a Kanban board in your journal, because you want to share it with someone else for instance, you can download a printable Kanban board in the Freebies Library, or consider using Trello (which is a Kanban based app). Of course, you can also imagine any kind of dynamic spread you want to fit your needs! The only limit to using post-its in your bullet journal within dynamic spreads is your imagination! The last way to use post-its in your journal is something I do quite regularly in mine: create mini lists that aren’t meant to last long. I typically do that with groceries lists: I put a sticky note in my journal and add items to buy as they come to my mind during the day. Then, when I’m off to the shop, I just need to peel the sticky note off my journal to take the list with me. I recommend to use sticky notes only for the infos you won’t need later. 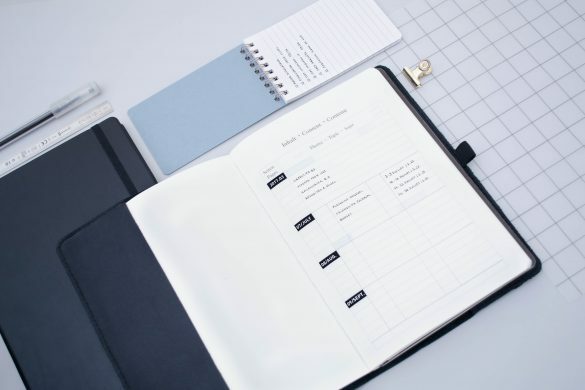 Everything that you might need to refer too such as phone numbers, addresses or anything related to an appointment and may seem to be a temporarily useful info, I recommend to keep it in your journal’s pages. You never know if or when you’ll need to get back to it. When you write something on a sticky note, be ready to throw it away the moment you’re done with it! If you do otherwise, you’ll lost one of the main advantages of the bullet journal that is documenting your everyday life. You don’t know how many times the scribbles contained in my old journals saved me! 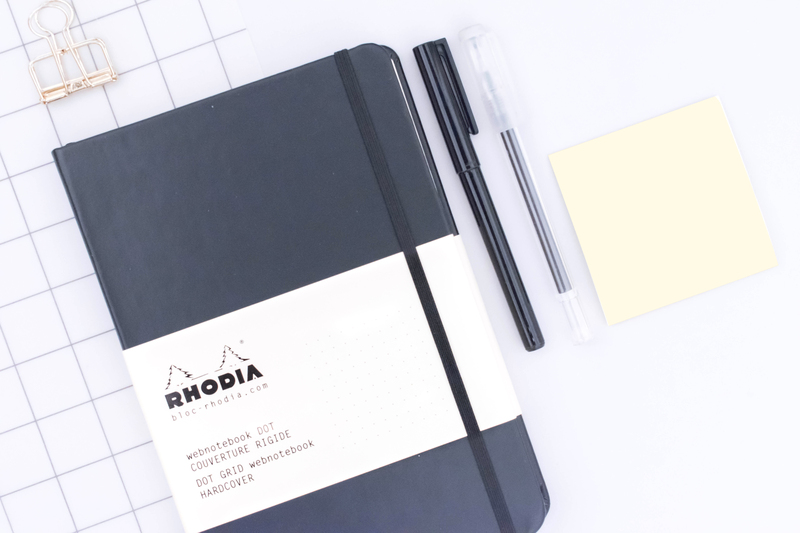 If the whole point of the bullet journal is to keep everything in the same place and avoid post-its stacks on your desk, sticky notes can definitely work with your journal to create a more flexible organization system. They’re the perfect tool if you need to create dynamic spreads or to try a set-up before you start creating your spreads for real. Hello! Great tips here, but what would be really great is if you could link the actual product, or at least five its name. For instance, which are the small post-it notes used in the kanban method? Or did you cut them to size?